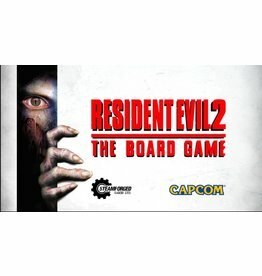 Licensed directly from Capcom, the Resident Evil 2 board game is a co-operative survival horror game for 1-4 players. 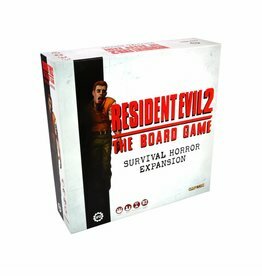 Choosing from one of four familiar faces, players venture into the zombie-infested Racoon city in a fight to survive, uncover Umbrella's secrets, and escape alive! 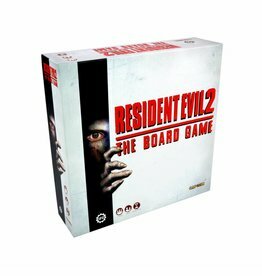 The Resident Evil 2 board game features innovative mechanics and high quality plastic miniatures, all designed to capture the original feel of the classic videogame. 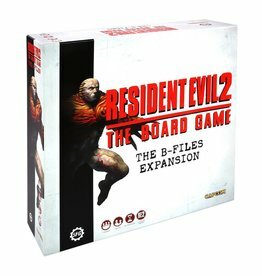 Resources are scarce, and enemies are numerous as they are ferocious; from common zombies, Umbrella B.O.Ws, up to products from the fearsome Tyrant program.